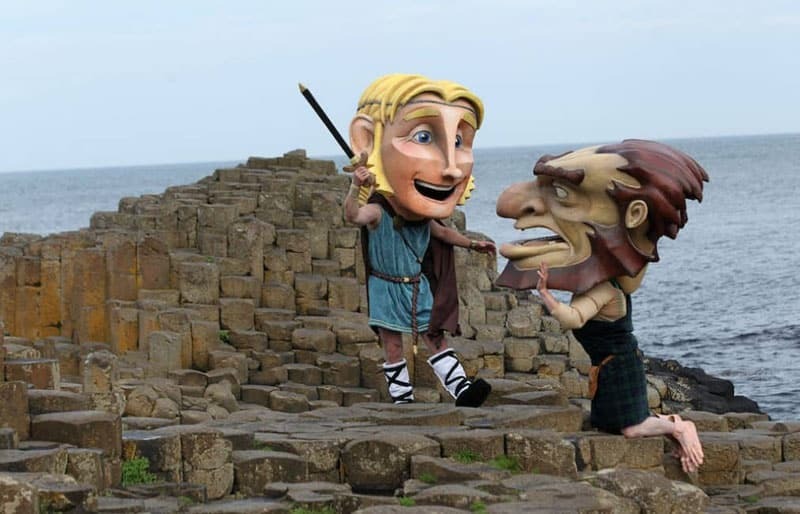 The Legend of the Giant’s Causeway – Do You Believe? 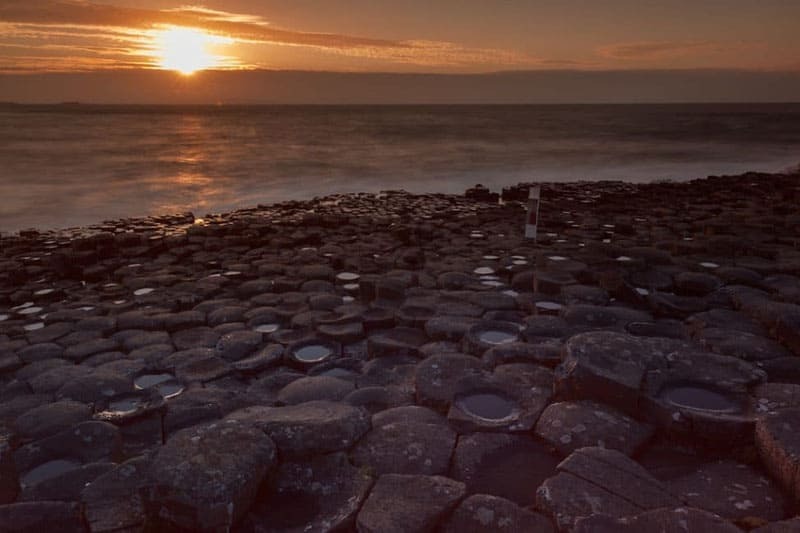 Science tells us that the Giant's Causeway on the coast of Northern Ireland was formed by a giant lava flow formed by a volcanic eruption millions of years ago. But there is a legend of the Giant's Causeway that I find far more intriguing. The Giant's Causeway consists of thousands of basalt columns perfectly formed from a volcanic eruption. As the lava dried, creating symmetrical hexagonal pillars in the form of a staircase. Wow, Mother Nature is quite the artist! 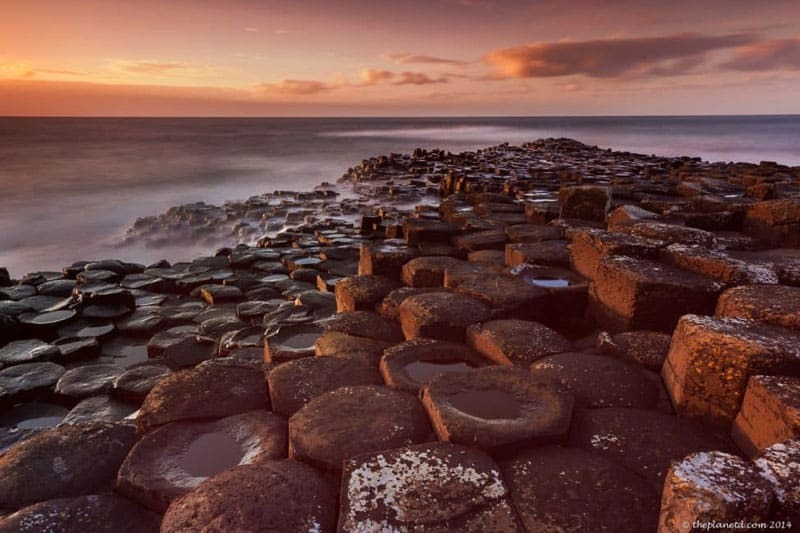 When we first laid eyes on the Giant's Causeway, we found this science nearly impossible to believe. It's too perfect. 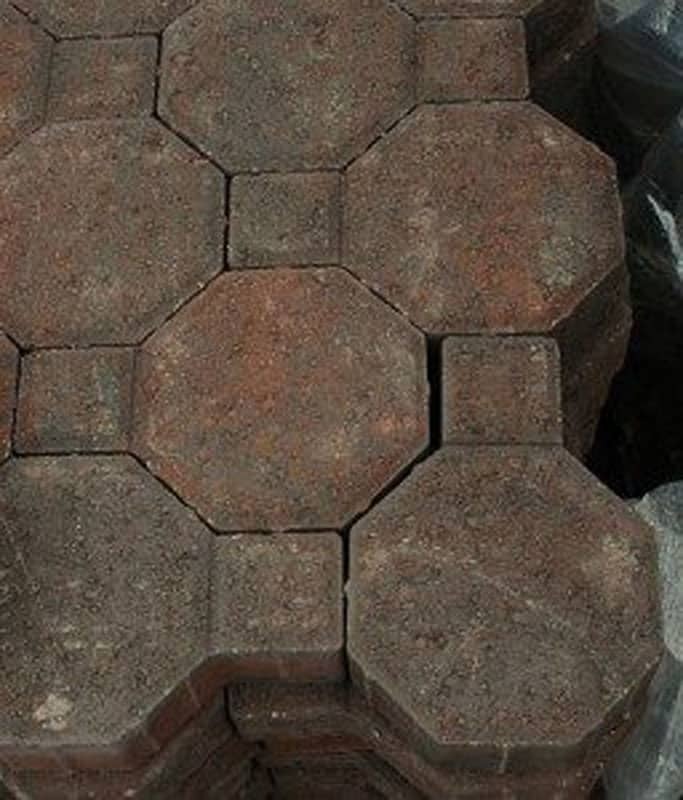 It looks like the interlocking brick walk that Dave and I meticulously designed and built in the front of our house one summer. If only we could have scooped up some hot lava, poured it in a pool and waited for it to cool. Our work would have been much easier. Although, getting your hands on fresh hot lava is another story. Instead of trusting the science and listening to the experts, we chose to believe in the legend of Finn McCool and the Giants Causeway. (Hey, it was either that or aliens) Standing on the Giant's Causeway and examining the pillars made it easy to believe that it was built by giants. They look like they had to have been carefully placed there by someone larger than life. For generations, the story of Finn McCool has been told in Ireland. People believed that the causeway was built by giants, and when looking at it, it's easy to see why. Legend says that rivals Finn McCool of County Antrim in Ireland, and the Giant Bennandoner of Scotland were constantly bickering from afar. One day Finn McCool decided to build a bridge to cross the sea and challenge Bennandoner to a fight. He ran across the causeway from Ireland to Scotland to sneak up on Bennadoner, but when he got a closer at the giant, he discovered that he was larger than he imagined. McCool quickly turned around and ran back to Antrim. Bennadoner noticed McCool and followed him home. Being a smart man, Finn McCool ran to his wife for help. (As we women know, most husbands do 😉 ) He told her that he challenged Bennadoner to a fight but the giant was much bigger than he imagined. What could he do now? She made a plan quickly dressed him in a bonnet and shawl disguising him as a baby and tossed him in a crib. When Bennadoner came knocking on the door and saw the size of McCool's baby laying in the crip, he imagined how large his father must be. He realized that this giant would be too big to fight, so he hightailed it back to Scotland destroying the causeway on his way home. The bridge across the sea was gone, but remnants still remain. 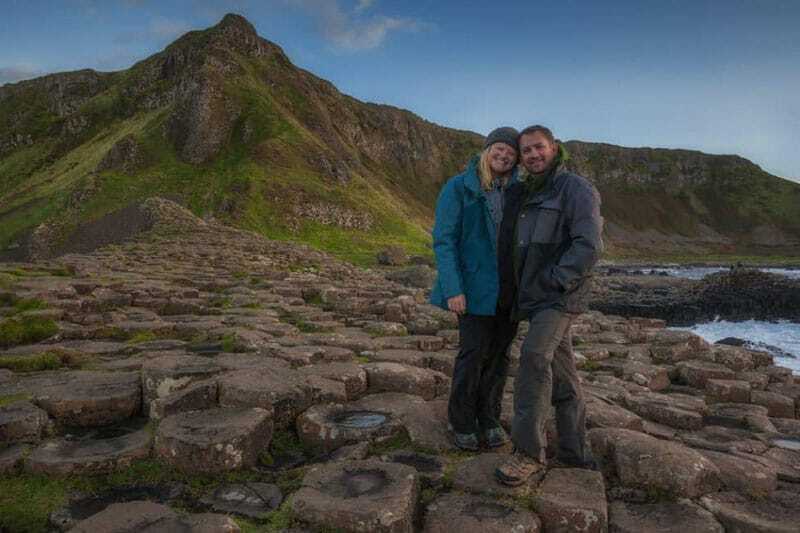 When walking along the 40,000 or so pillars that are left of the Giant's Causeway it is easy to envision these stone pillars as steps leading out over the sea. It's so perfectly formed and beautifully crafted it makes it hard not to believe in the legend. 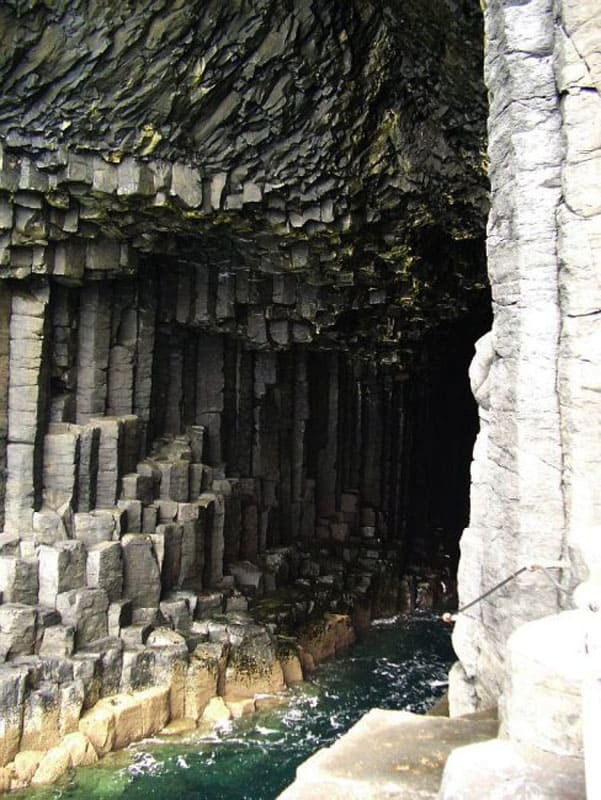 When we hear that there are similar basalt pillars at Fingal's Cave on the Scottish Isle of Staffa it reinforces the belief that it could be true. Just imagine a giant causeway linking the two islands to each other. Wouldn't it be beautiful? And isn't it fun to believe in giants, even if it's just for a few minutes? Do you believe in legends or are you science all the way? 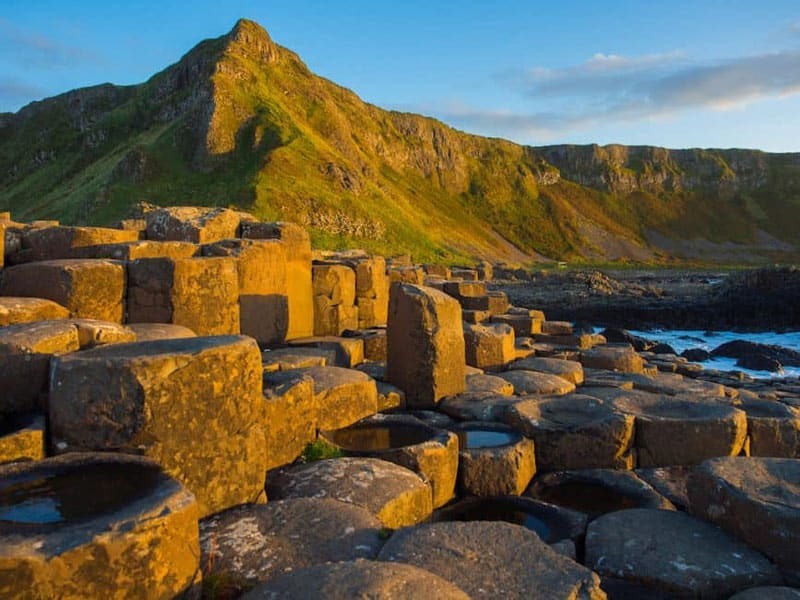 For more information on travel to Ireland visit GoToIrelandCA for accommodation at the Giant's Causeway visit the Causeway Hotel. 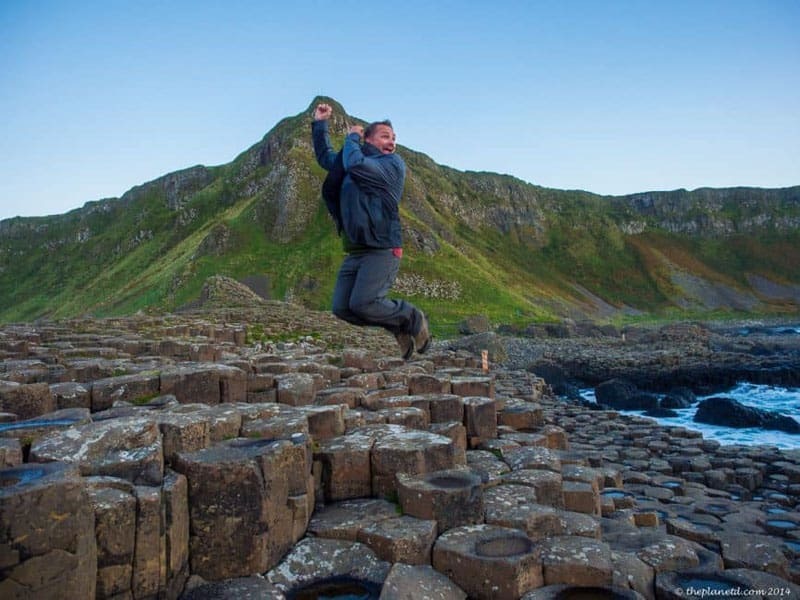 16 Responses to "The Legend of the Giant’s Causeway – Do You Believe?" No. Giant’s causeway, I think, is a natural phenomena. This looks just amazing! You’re right it makes it hard not to believe the legend, which makes it that much cooler! Thanks for sharing! Well, of course it’s true! With a last name like Perehudoff it may not be obvious, but I’m part Scots-Irish and my relatives hailed from Antrim. So I’m an authority, or at part authority. Fun post, guys. You are definitely an authority! I should have picked your brain before writing this. I’m just going on speculation, but, you! You have first hand knowledge. You could even be descendants of giants ;-)Cool that you are from Antrim. I like to think there are times when science and myth overlap, and if we only view the mysteries of the world through one viewpoint, we miss the wonder of the other. That sounded incredibly pretentious didn’t it, haha, but I hope you understand what I mean. I’d love to see Giant’s Causeway – it reminds me of all the basalt columns and rock formations we saw on our trip to Iceland! It’s pretty incredible. We haven’t seen anything quite like it before. There are basalt columns around the world, but the Giant’s Causeway is something that really stuck with us. Iceland is pretty awesome eh? Great ones there too!